In May of 2003 (on our way back from Devil's Punchbowl) we briefly stopped by this wildlife sanctuary when we saw carpets of wildflowers blooming along the desert floor roadside off Avenue T. Most notable were the gorgeous white blooms of Parry's Linanthus, so dense that it looked like there was snow on the ground. 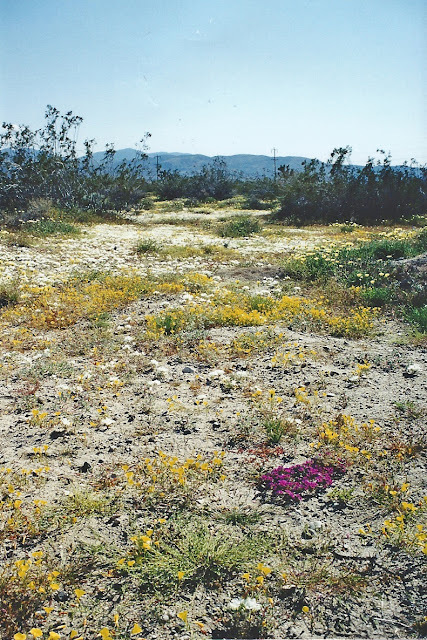 I've read that, of all the wildlife preserves in the Antelope Valley, Jackrabbit Flat has some of the most consistent and spectacular wildflower displays (mid-March to late May), so it definitely warrants a revisit, especially in a wet year. 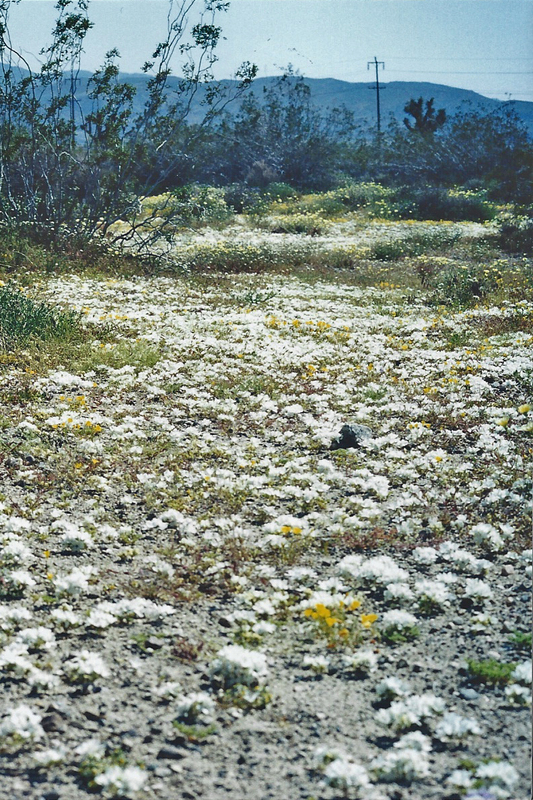 5/10/03 Jackrabbit Flat, carpeted with Parry's Linanthus (Linanthus parryae). 5/10/03 Parry's Linanthus (Linanthus parryae). 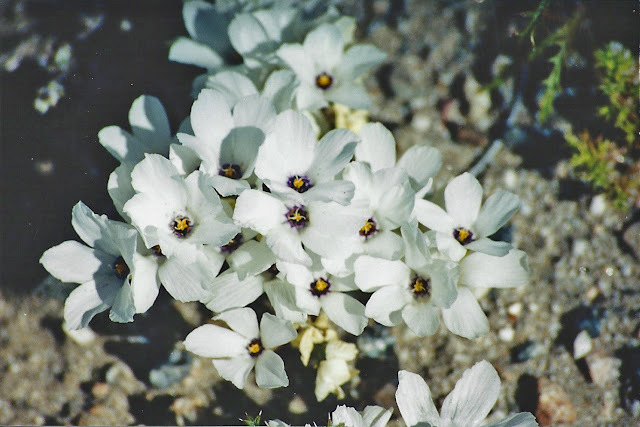 5/10/03 The flowers of Parry's Linanthus can be white or blue-purple. 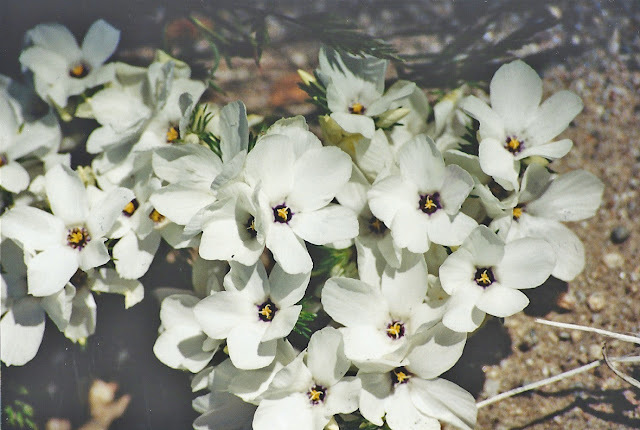 We only saw the white ones at Jackrabbit Flat on our brief stop there in May of '03. 5/10/03 Parry's Linanthus (Linanthus parryae), Jackrabbit Flat. 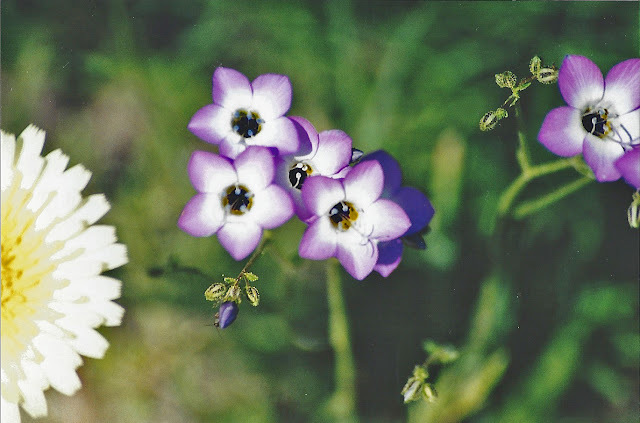 5/10/03 Broad-Flowered Gilia (Gilia latiflora ssp. davyi). 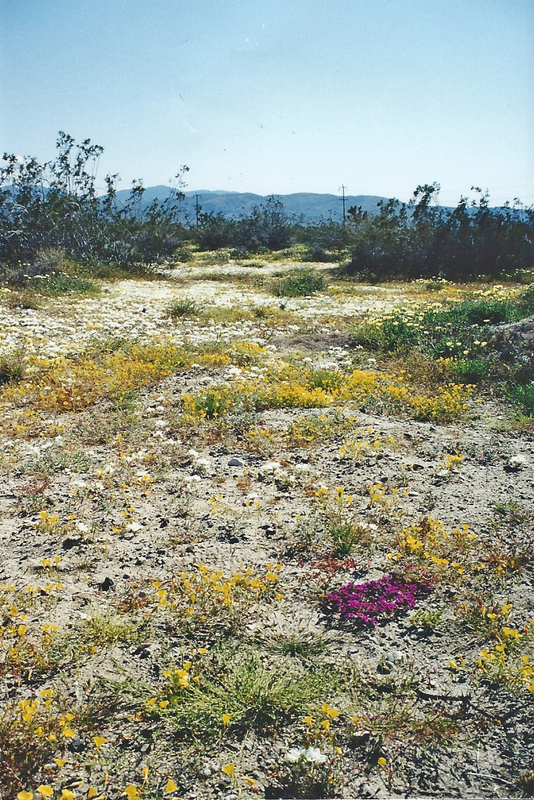 Location: W. Mojave desert, Eastern Antelope Valley. Directions: SE corner of 116th St. East & Avenue T (2 1/2 miles north of Pearblossom off of Hwy. 138). From its intersection with 116th St. East, go east on Avenue T for about 1/2 a mile. 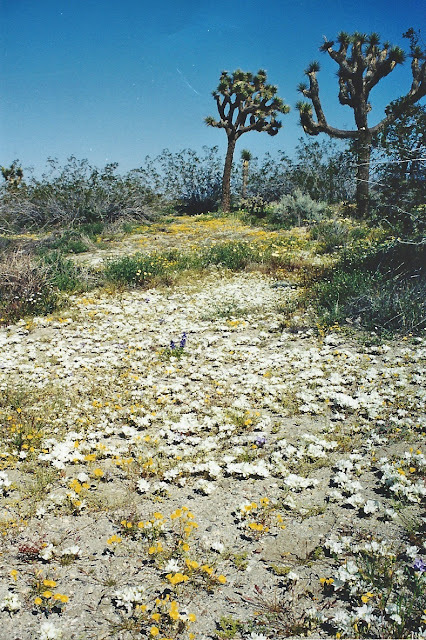 Sanctuary is located off Avenue T.